It’s tomato time! Come celebrate summer’s shining star in all its glorious forms. 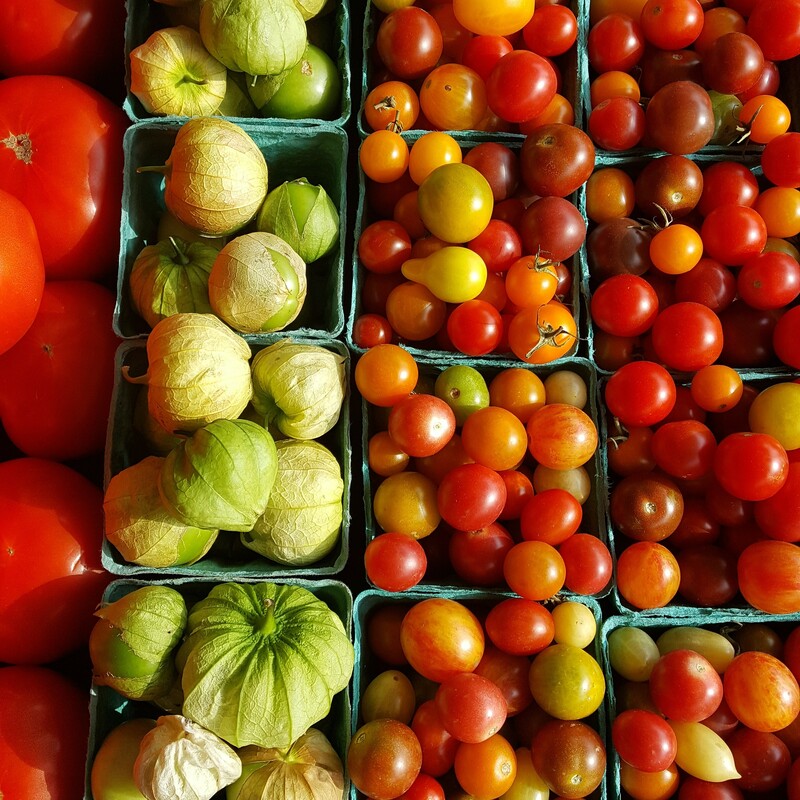 Taste test your way through a table of farm-fresh heirlooms, savor their subtle nuances and chat with Penn State Master Gardener Sophia Feller about the many varieties of tomatoes grown in the Lehigh Valley. Watch Chef Ada Chandler as she demonstrates ‘How to Use Tomatoes Now and Later.’ and learn the right way to roast tomatoes and how to preserve the summer flavor through sauce and salsas. EFM vendors will have some tomato-delish specialties, including Sycamore Grille’s mouth watering fried green tomatoes, along with lots of local juicy tomatoes fresh from the farm at EFM vendors Scholl Orchards, Backyard Growers, Blooming Glen Farm (organic), Salvaterra’s Gardens (organic) and Pheasant Hill Farm. And bring the kids — starting at 9:30 am it’s the Mr. & Mrs. Tomato Head Contest awarding prizes for Funniest, Most Glamorous and Most Organic. Winners will receive an EFM t-shirt and $10 in market tokens. POP members who participate will also earn $3 in POP bucks to buy fresh fruits and veggies at the market. Kids who haven’t signed up for the market’s free POP Club yet are still welcome to do so. Just visit the Info Tent at the market, 9 a.m. – 1 p.m. Saturdays. Tomato min-golf will also be returning this year to delight the kids. Enjoy usic from 10 am to 12 noon by ‘Friends of Tom’ on the North Lawn of the Circle and the grown-ups can enjoy Eight Oaks Craft Distillers’ Bloody Mary bar — there’s something for everyone at EFM’s Tomato Day 2018! !